KATHMANDU, Jan 18: Some of the individuals whose names appeared in a list of Nepalis with investments abroad have taken exception to allegations made against them. Denying that they have committed any wrongdoing, they said the report released by the Center for Investigative Journalists (CIJ) on Wednesday only puts them in a negative light and tarnishes their image. At least four individuals out of the 55 who have been included in the list dismissed the report, saying they have been unfairly targeted by media reports even though they have not done anything illegal. Chandra Prasad Dhakal, chairman of the IME Group, tourism entrepreneur Rajendra Bajgain, sugar mill operator Shashikanta Agrawal and businessman Arun Kumar Chaudhary objected to the report and denied that they have violated any law of the country as claimed in it. “I have opened a company in the UK , complying with all applicable laws of the country. I have taken the approval of Nepal Rastra Bank to open a company in 2002 in order to bring remittances to Nepal from the UK . There was no violation of any law of the country,” said Dhakal at a press meet in the capital. “If opening a company to bring remittances through formal channels is a crime, I have nothing to say. Otherwise, bringing up my name suddenly and lumping it with others including those with deposits in Swiss banks is unfair,” he added. The report said Dhakal purchased the Sunbrid Compter Consultant Ltd, which was later rechristened IME UK Ltd. The report, 'Nepal Leaks 2019: Illegal Wealth Watch', released by the CIJ on Wednesday should not have contained such flaws, they said. CIJ claims that the report was the outcome of year-long investigations. However, most of the names Nepal Leaks claims to have disclosed also featured in the 'Panama Papers Leak' in 2017. The authorities say they have concerns if money is taken out of the country for making investments in violation of the laws of the country. “I also read the news reports today. 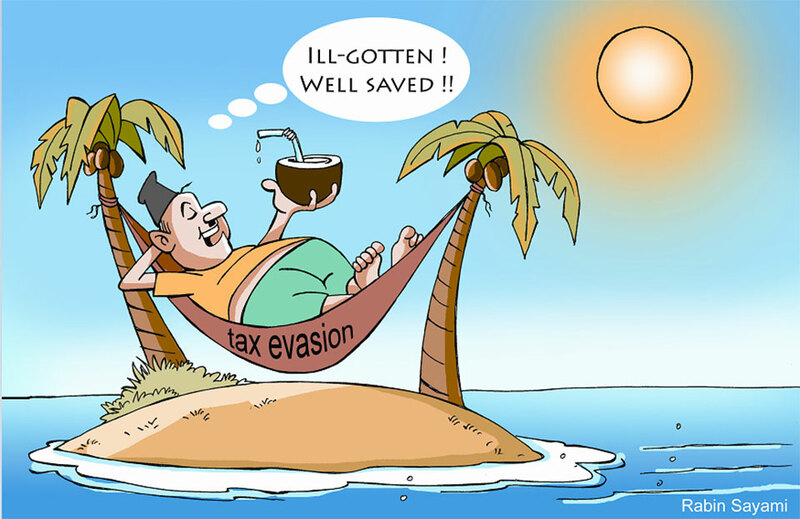 You should not lump all Nepalis making investments into a single category and declare them illegal. Some of them may have secured permits from NRB while others may have become investors while living abroad. Or some may be NRNs,” said a senior official at NRB. “But, we should be cautious if there is capital flight from Nepal or Nepalis are taking money abroad for investment porposes,” he added.